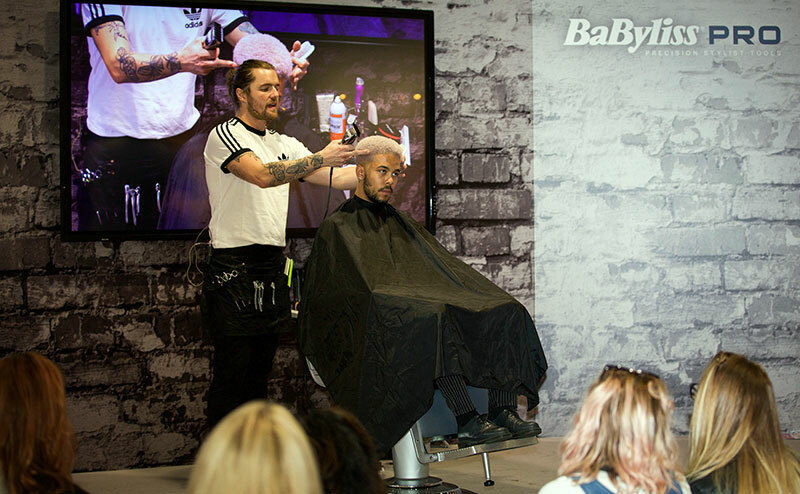 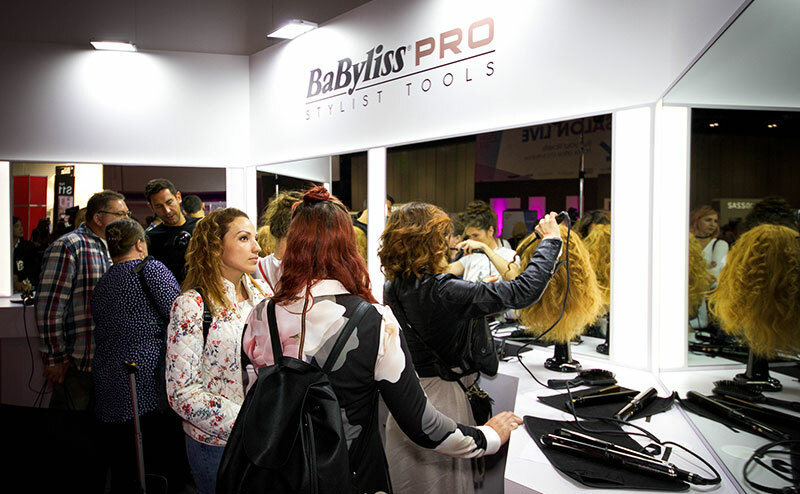 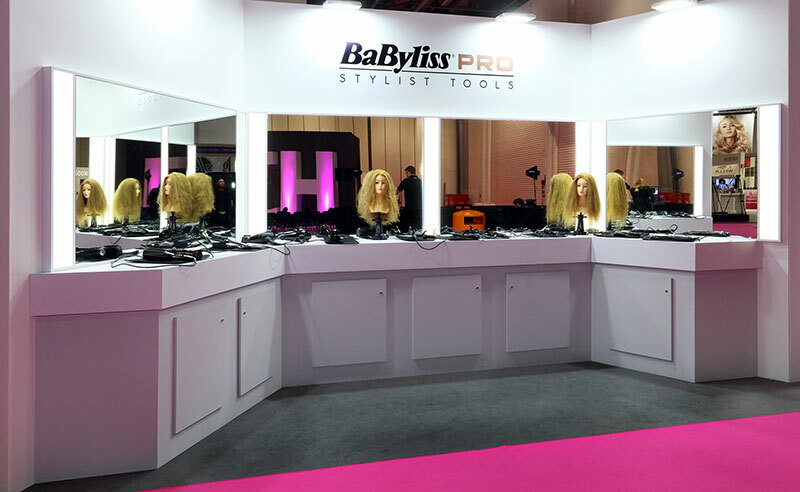 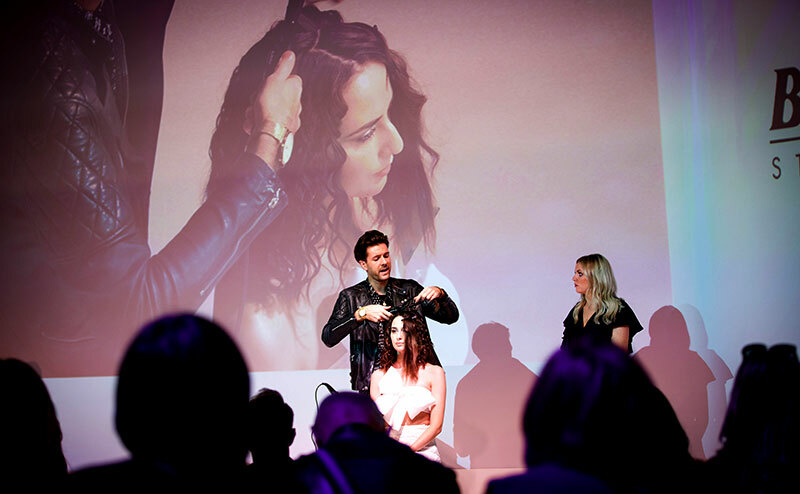 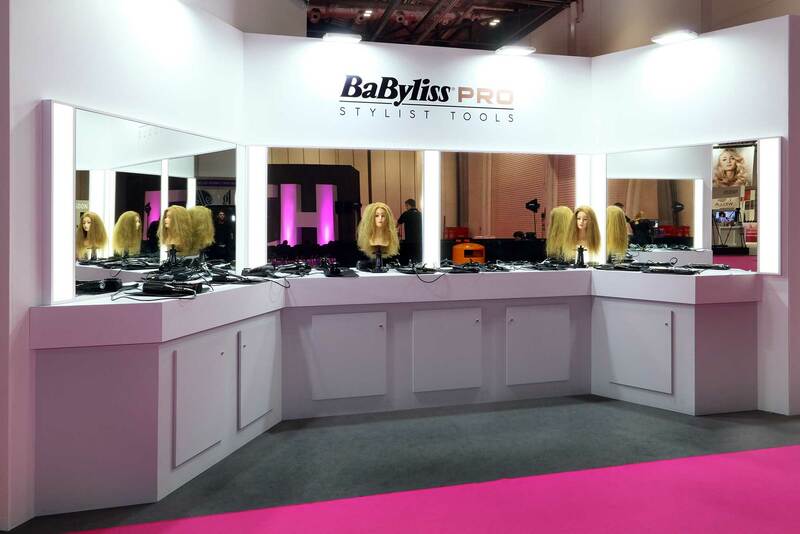 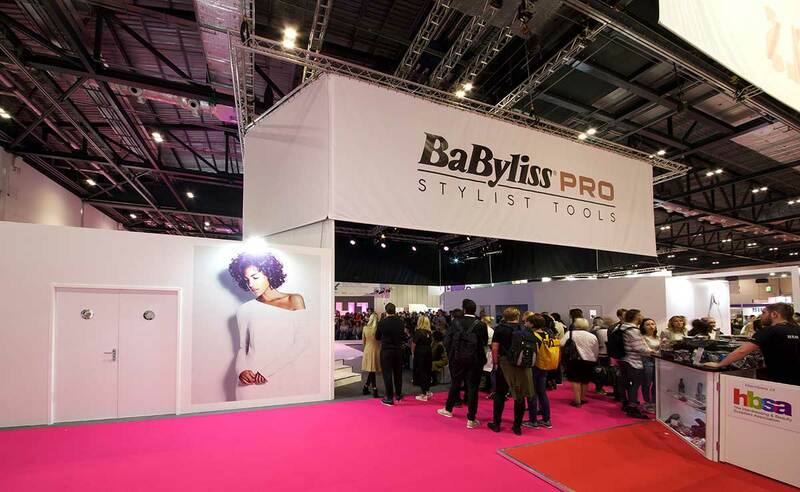 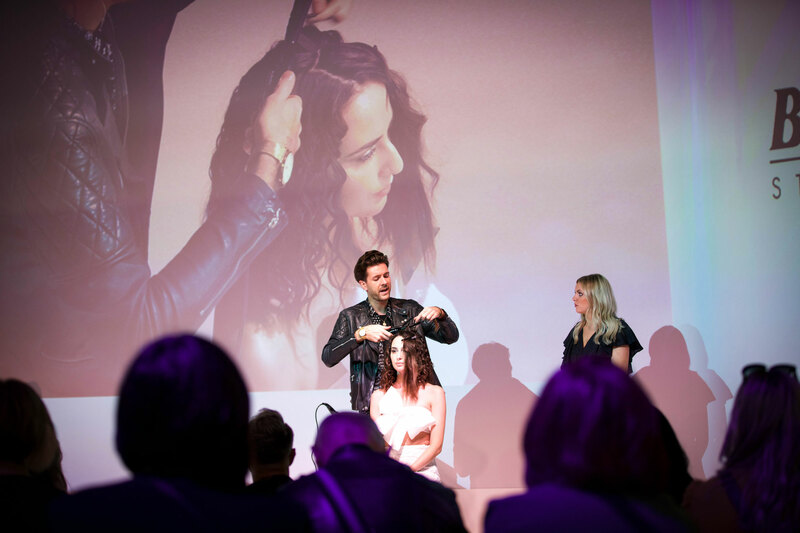 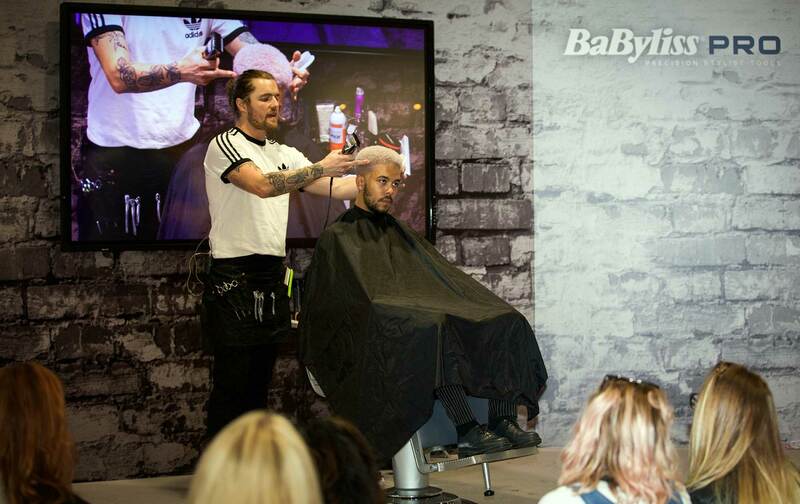 One of the biggest brands in the industry, the Babyliss stand had to dominate the hall of the Salon International show, create brand awareness and an atmosphere of theatre and drama to attract visitors. 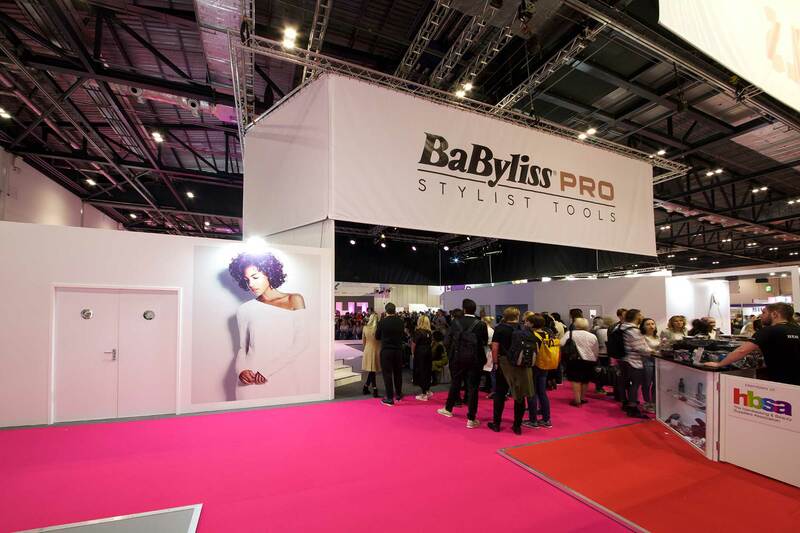 The design brief revolved around a multi-zone solution incorporating an area for Babyliss to demonstrate new Pro Stylist Tools product ranges to trade visitors, a separate feature area for live demonstrations and a ‘try me’ bar area where visitors could get involved and interact with new and exciting products. 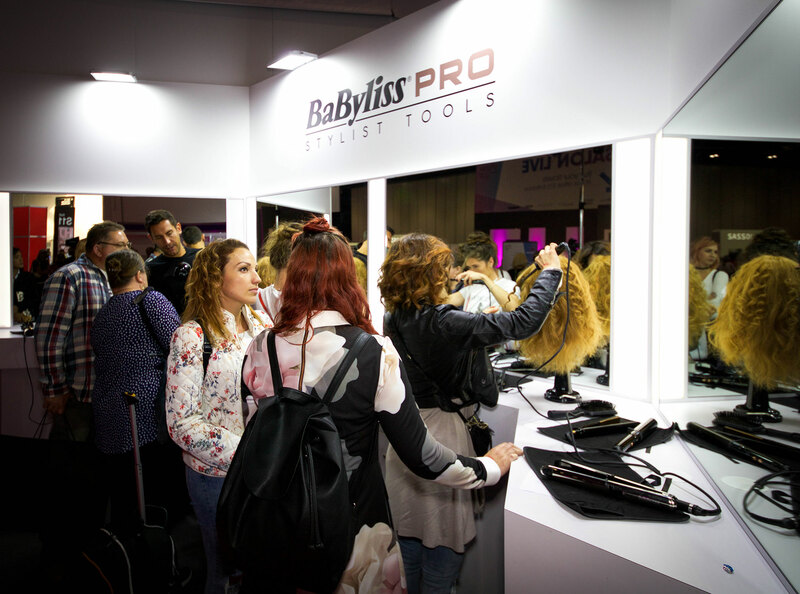 The stand also included a retail area for visitors to purchase product after watching the demonstrations or after using the products at the ‘Try me’ bars. 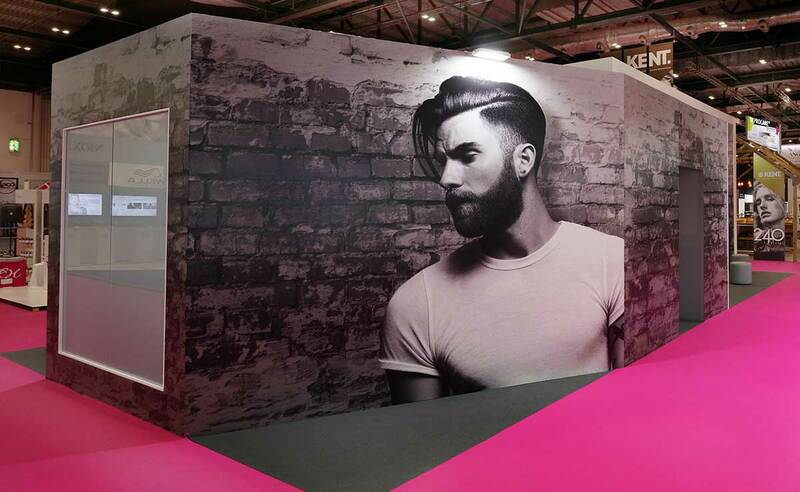 The challenge involved designing a scheme that would accommodate the complicated flow of logistics for replenishment of products, ergonomics and flow of visitor footfall via one of the main access areas to the show. 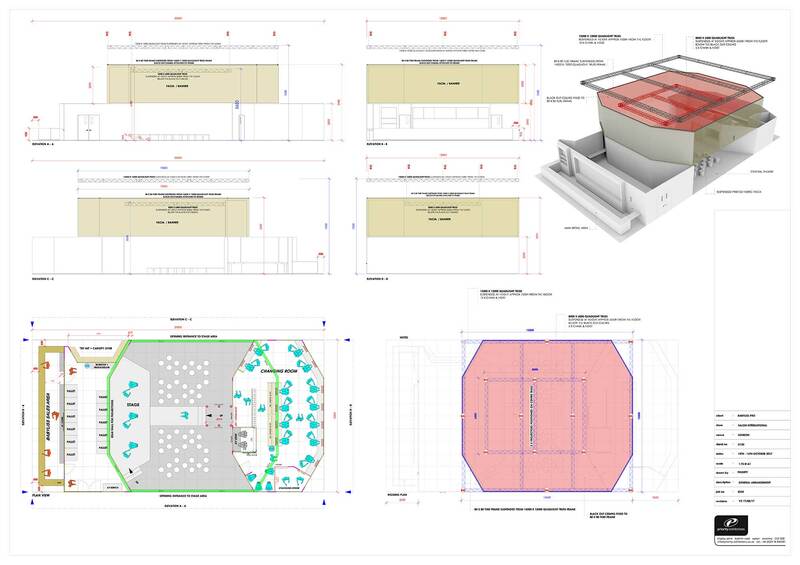 The build was carefully considered to achieve the best results and maintain the budget and as such included different methods of construction to install the 6-metre-high walls, arena AV and suspended fascia. 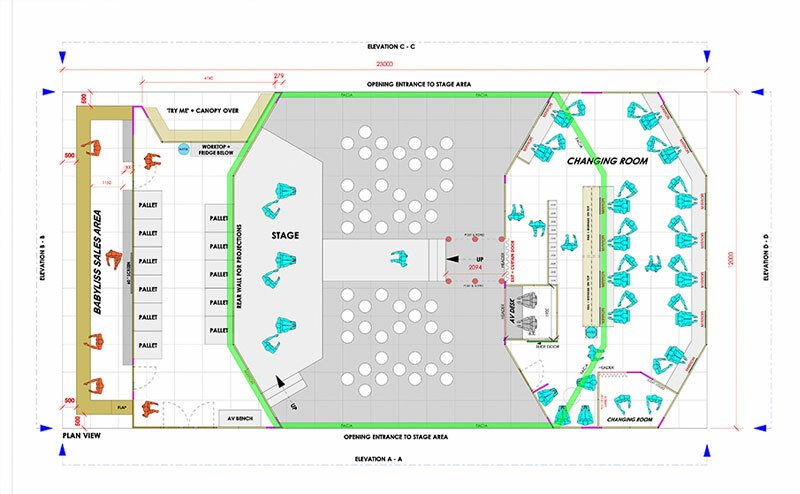 Our Project Managers look after the whole design process. 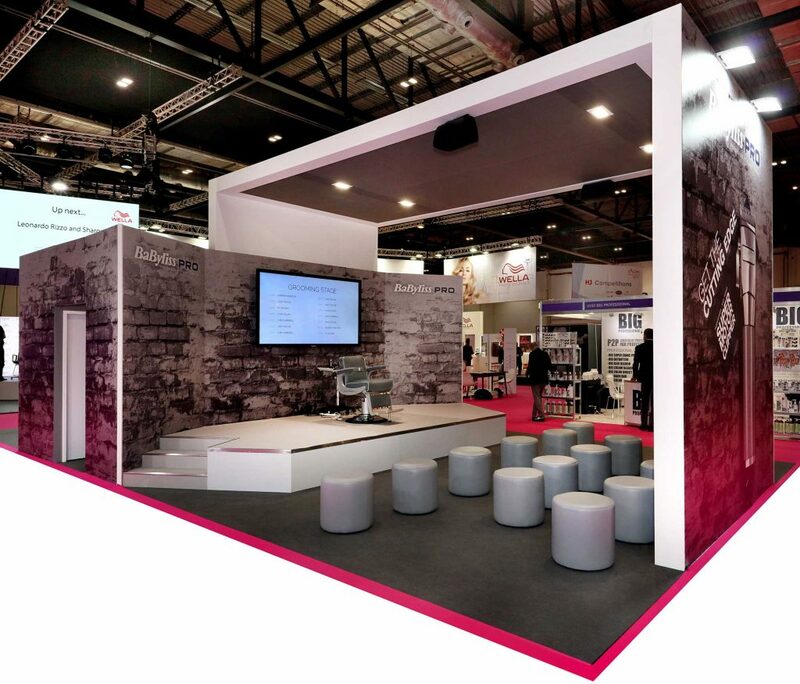 Allowing constant footfall and engagement for your customers is key to a good stand design as well as allowing logistics to run freely for access and product replenishment during the show. 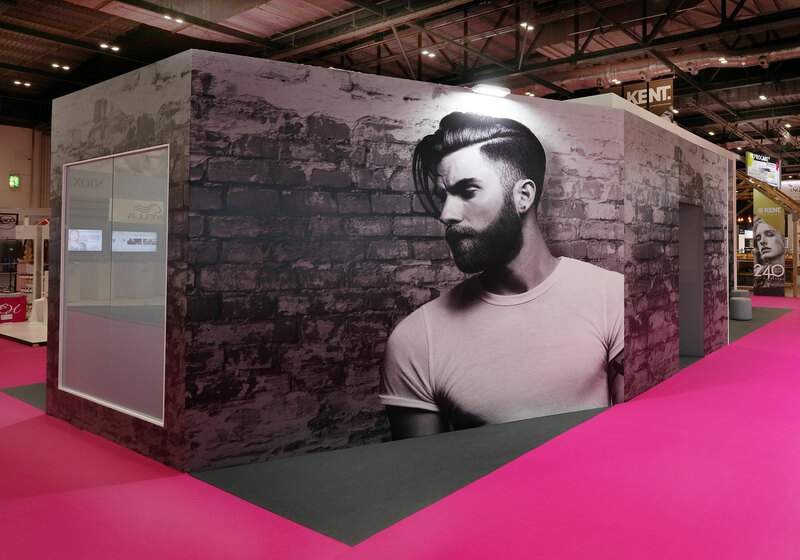 Engage and capture your customers interest with a free-flowing stand design from Priority Exhibitions.